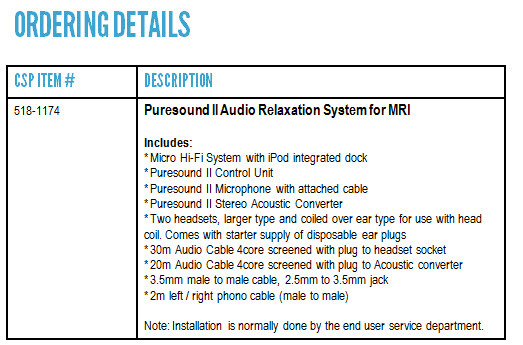 Puresound II is compact, simple to use and offers the same reliability of performance our customers have experienced with the original version. The system hardware is warrantied free from material defect and faulty workmanship for 12 months from date of installation, or fifteen months from date of shipment, whichever occurs first. Wardray Premise are a global market leader in MR technology, providing solutions for patient safety, comfort, care and relaxation.